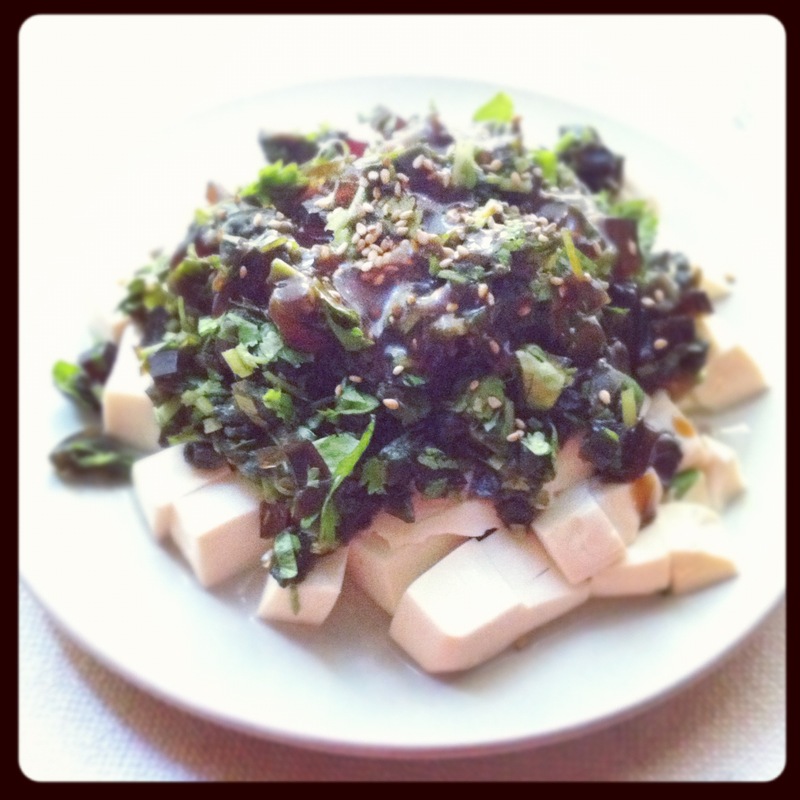 1) Cut the tofu into big pieces. 2) Wash the 2 types of mushrooms. 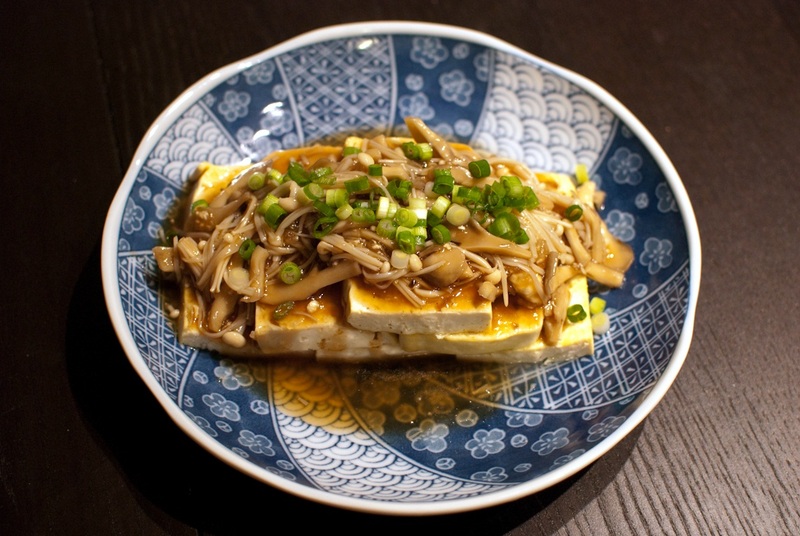 Cut the bottom part of the enoki mushroom, then cut the remaining part in half. Cut the maitake mushroom into small pieces. 3) Heat a frying pan. Add oil into pan, and put the tofu in. When one side is done, flip over to the other side. Put the tofu on plates when both sides are golden. 4) In a small pan, stir fry the mushrooms. When the mushrooms are half done, put the oyster sauce, soy sauce, sake and water in. Stir well. Sprinkle salt and white pepper as you like. When the sauce is ready, put the corn starch in. Mix well until sauce is thicken. 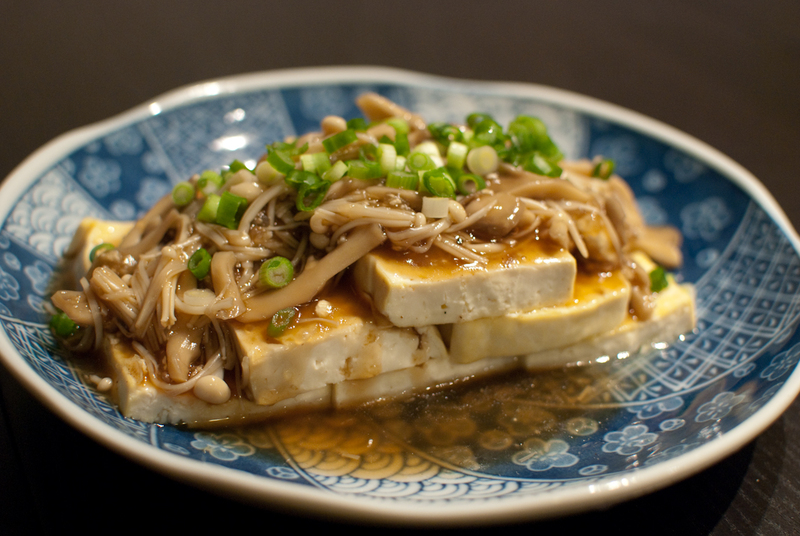 5) Put the mushroom sauce on top of the tofu. Sprinkle the green onion on top of the mushroom sauce. 1) It’s a quick and yummy dish!